The past few years have seen a massive boom in influencer marketing. In fact, most brands and advertisers now consider influencers as an integral part of their content marketing. These social celebrities offer an effective channel for content delivery and have proven to bring better results than most other marketing platforms. 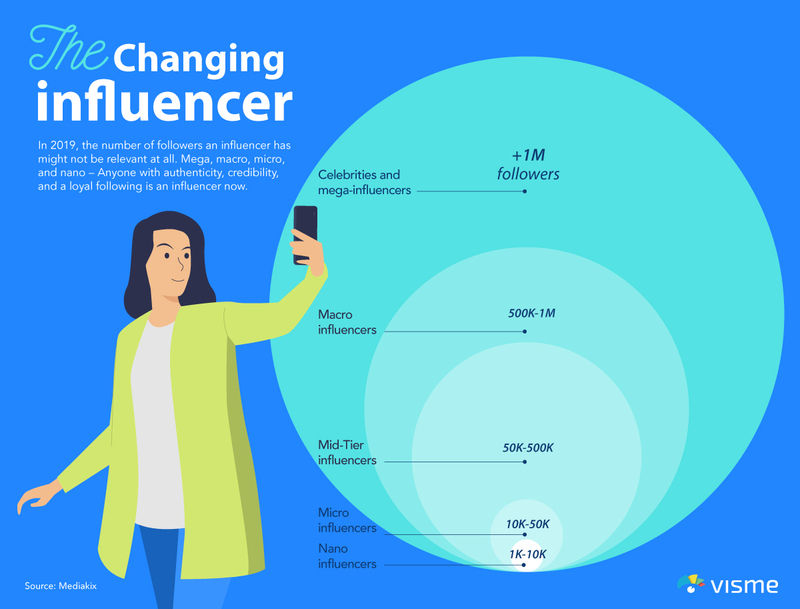 But social media influencer marketing is not a static concept — it’s constantly evolving over time with changing consumer behavior, new technology and unpredictable market dynamics. If your brand wants to keep up, you need to stay updated. Luckily, we asked the experts to reveal some of the major influencer marketing trends likely to dominate this year. Check out our infographic summary of this post below. Or keep scrolling for a detailed explanation of each trend, with examples! Last year, 39% of marketers planned to increase their influencer marketing budgets. This year, the figure has jumped to almost twice as much! According to Mediakix, an influencer marketing agency, nearly two-thirds of marketers plan on increasing their influencer marketing budgets in 2019. This is solid proof of the growing confidence in the power of influencers. The reason behind it is simple: high ROI. 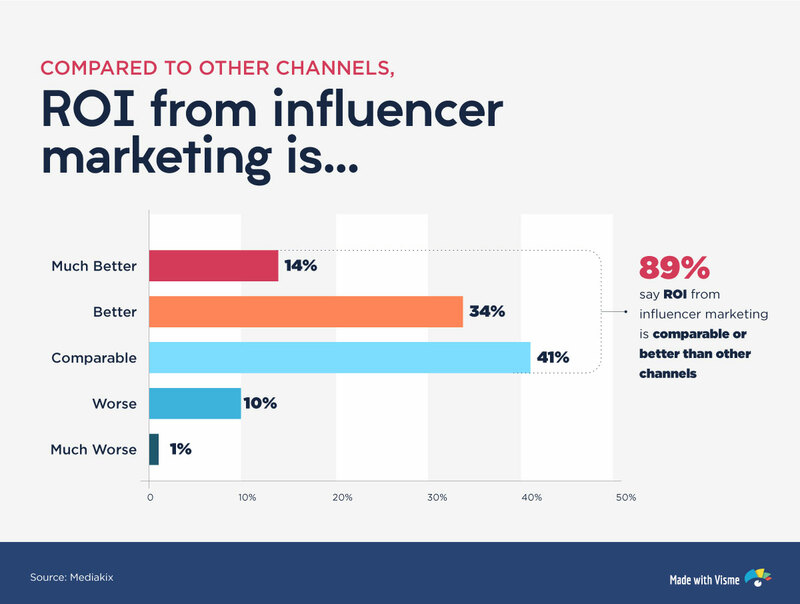 Mediakix also revealed that 89% of marketers claim to get equal or better returns from influencer marketing as compared to other marketing channels! Get ready to spend more this year on influencer marketing – because if you don’t, your competitors will. Where do you think the most powerful influencers work their magic? Research shows that Instagram is at the top of the influencer marketing game this year, followed by YouTube. Here’s a simple reason why: video. According to Mediakix, three out of five of the most effective content types for influencer marketing are video: Instagram Story, YouTube Video and Instagram Video. Long gone are the days when people chose static images over video because of bandwidth issues and slow loading times. Even developing countries and budget-friendly smartphones have now caught up with high-speed internet, 5G and uninterrupted video buffering. And let’s not forget that video is the most in-demand content type this year. 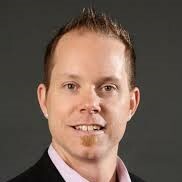 In fact, Cisco predicts that video will be responsible for 82% of all online traffic by 2022. This is exactly why Instagram’s latest features — including IGTV, Live Video, and Stories — have been so popular among influencers in various niches. Brands are no longer interested in partnering up with "safe" influencers. Instead, they now prefer to take risks and reach out to controversial influencers – simply because the latter offer them higher engagement rates. In fact, even giant corporations like Billboard, MTV and Audi are now choosing to work with edgy influencers, like Shane Dawson, Sonja Reid and Danielle Bregoli (a.k.a. Bhad Bhabie) — only because they want to give customers a raw, authentic opinion of their brand. This doesn’t really come as a surprise. Consumers don’t want to be sold to – they trust influencers because of their honesty and transparency. Likewise, influencers are extremely cautious when it comes to sharing sponsored content. They prefer to stay as authentic as possible to sustain the credibility they’ve worked so hard to build. Remember the time when only Instagrammers with over 50k followers were considered social media influencers? Then came the age of micro- and nano-influencers: highly niche accounts with a small, but loyal, following. In 2019, the number of followers might not relevant at all. 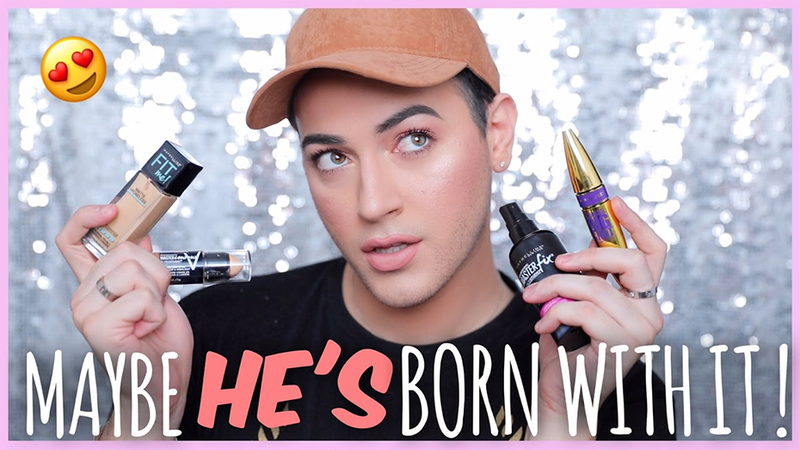 The ‘influencer’ of today is pretty much anyone who people look up to – from a makeup-junkie who started a channel in her bedroom to a mainstream celebrity. Let’s take nano-influencers — people with between 1,000 and 10,000 followers — as an example. 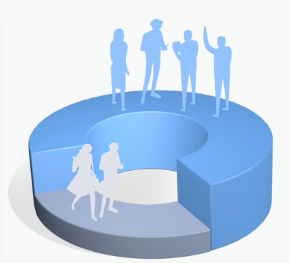 These accounts are sought after by simply because of their authenticity and high engagement rates. In fact, their lack of fame is what makes them so influential. They are normal people who consumers can actually relate to on a personal level. And since they don’t have a large following, it’s easier for them to directly engage with their fans through comments and direct messages. On the other hand, Oscar nominee Will Smith has over 25 million followers on Instagram. Yet, his personality, credibility and authenticity makes him more influential on social media than most other mainstream celebrities and micro-influencers. Ultimately, this trend reveals how the most powerful social media influencers are those who are truly able to relate to their audiences, keep it real and organically earn people's trust, regardless of their popularity or number of followers. Social media influencer marketing used to be all about big brands partnering up with social media celebrities to promote their products. Recently, though, more influencers-turned-entrepreneurs have started to focus on growing their own brands instead of relying solely on promoting other businesses, like Huda Beauty and Jeffree Star. Huda Kattan, for example, uses a mix of platforms — specifically Instagram — to share tutorials of makeup looks created using her own beauty products. For marketers, this poses a huge challenge. To get influencer-entrepreneurs to promote your brand, it’s important to create innovative content that integrates your products with the influencer’s own brand, instead of completely replacing it. 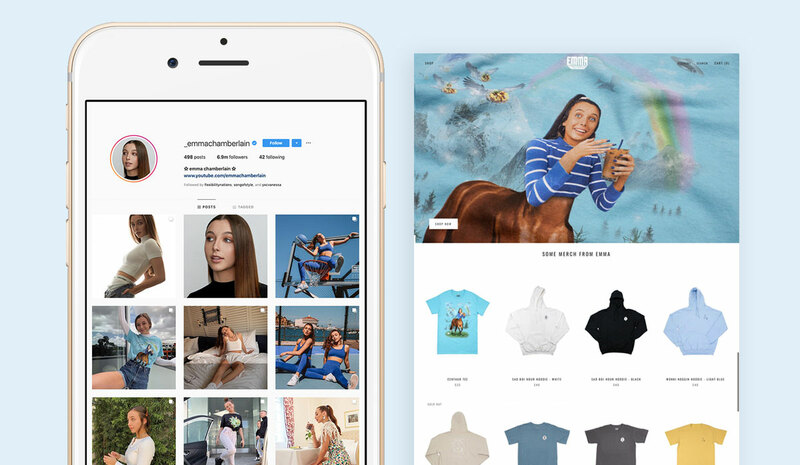 Gen Z influencer, Emma Chamberlain, recently partnered up with the virtual shopping mall app — Dote — to debut her new clothing line. This is a great example of how brands can build mutually beneficial partnerships with Instagram entrepreneurs. More brands are now looking to establish long-term relationships with social media influencers, instead of going for just one-off promotions. 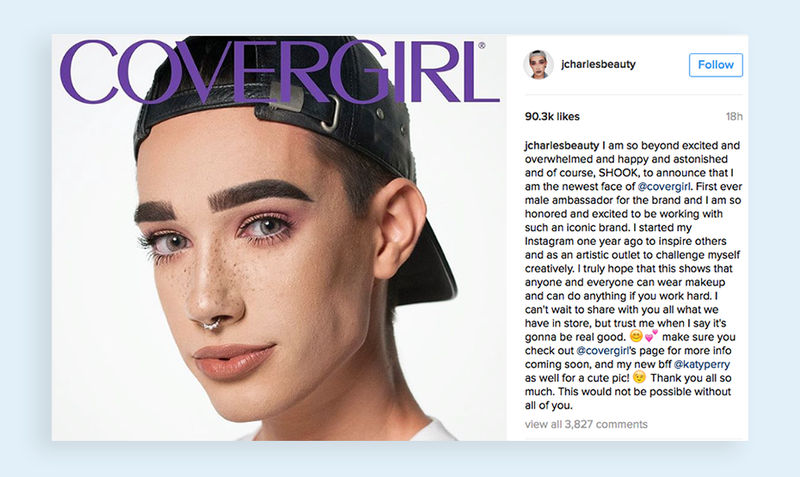 Long-term partnerships with social media influencers have recently started appearing in the form of co-created product lines, especially in the beauty industry. Brands are also increasingly opting to collaborate with influencers based on a social cause. This is because marketers have finally realized the immense potential of communicating an authentic, consistent story to their audiences, which helps to build stronger brand associations over time. For brands and marketers, the key to making it big in the social media influencer marketing world is to move fast – and creatively. Instead of doing what everybody else is doing, brands need to be innovative and think outside of the box for new ways to reach their audiences. It’s important to remember that social media influencers are just one of the tools at your disposal. You need to have something special to share with or through them. 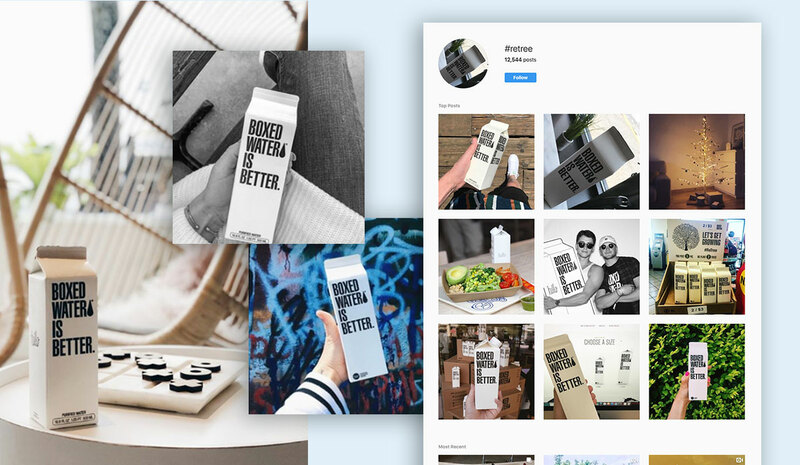 Boxed Water, an environmentally-conscious bottled water brand, has done an excellent job at innovation. Instead of just reaching out to influencers and asking them to promote their brand, they created the "Retree Project." Each time someone posts a picture of their product along with the hashtag "retree," Boxed Water plants two trees. The company reached out to a number of Instagram influencers for their campaign, and the results have been amazing. 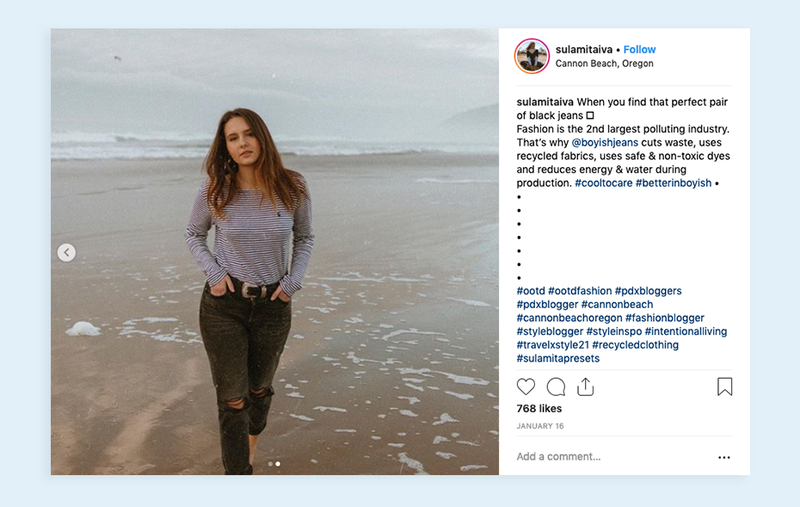 So far, they’ve planted over 600,000 trees in the U.S.
Influencer marketing is on the rise, but so is the number of influencers. With so much competition, brands are now extra careful about the influencers they choose to associate themselves with. In fact, 61% of marketers face difficulty in choosing the right influencers for their campaigns. Marketers now need to make sure that the personal brand, style, and values of the influencer they pick is aligned with their brand. It doesn’t matter how many followers or engagement they have. What matters is if they can actually tell your brand’s story effectively, without hurting your brand image in the process. 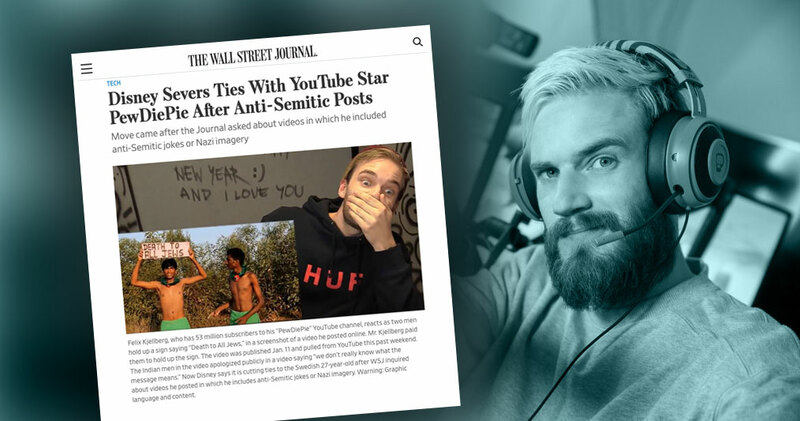 Case in point: PewDiePie’s ill-advised, anti-Semitic humor caused him to lose major deals with Disney’s Maker Studios and YouTube. Also, partnering up with big social media influencers isn’t always good for your business. It’s very easy to get lost in the crowd if your brand isn’t as recognizable as all the other brands an influencer works with. This is another reason why new, local, or niche brands often choose to partner with nano-influencers initially. Once they’ve created enough brand awareness and engagement, they can then move on to increase their budgets and partner with micro- or mega-influencers. In fact, it’s going to get a lot bigger (and better) in 2019. Consumers don’t want to be sold to by brands and companies anymore. They want to be advised by their friends, families and role-models — a.k.a. people they can trust. And this is exactly where the new, evolved and extremely powerful influencer marketing is headed. Brands need to be credible, transparent and authentic if they hope to survive, and partnering up with influencers who share these same values is the way to go. What do you think is the biggest influencer marketing trend this year? Let us know your thoughts and comments! 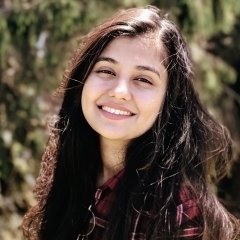 Mahnoor is a copywriter, graphic designer and content marketer who loves to talk on the internet about the internet. She’s also the founder of MASH. and is passionate about words, colors, tea and kittens. 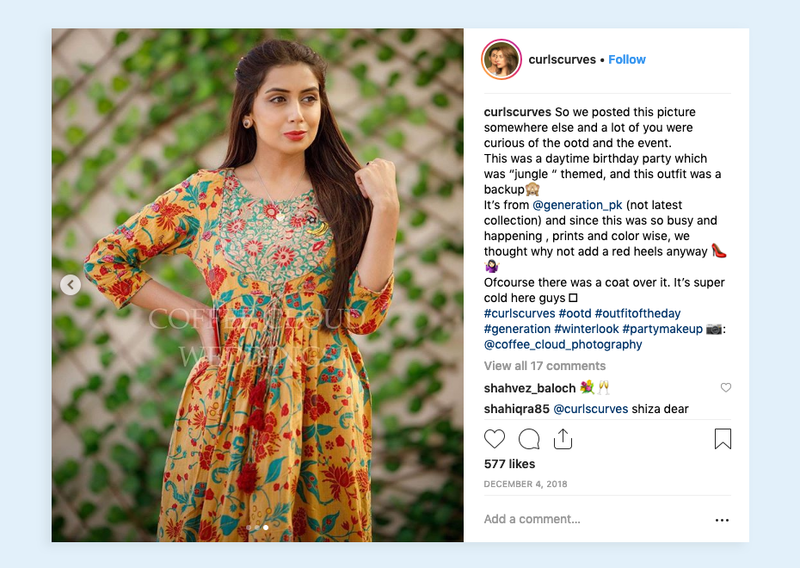 Influencer marketing is incredibly powerful but a mistake which many brands make is that they do not target right industry based influencers as per their buyer personas, instead they just opt for people having big followers count. Twitter and Facebook all sell followers but they are not much of worth as these followers have a very low ratio of active followers. Hi Rachel, that’s a good observation. Engagement is so much more important than the number of followers!